This is designed to determine whether your condition is within the scope of our care. A thorough spinal and musculo-skeletal examination will be performed in order to identify areas of concern. The doctor will analyse your posture to detect any abnormal body and spinal positions. The postural examination serves to identify possible spinal misalignments. Find out what the ideal spinal alignment is by reading the box to the right. The doctor will first determine if x-rays are necessary for your particular case. 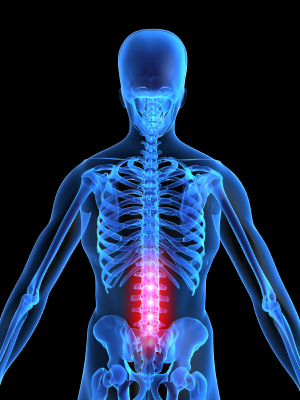 Spinal x-rays reveal how an individual spine deviates from normal alignment. 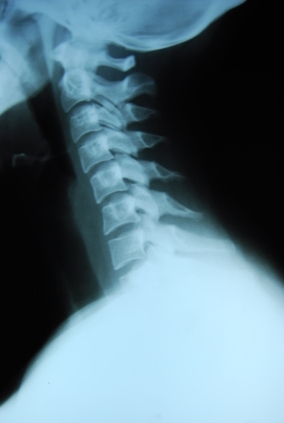 The above x-ray is that of a neck or cervical spine from the side, with the patient facing left. You can see that the neck appears straight. The cervical spine, however, should have a forward curve. Only an x-ray can reveal the precise spinal displacements. The report of findings is a very important part of communication in our office. Before you decide if chiropractic is right for you, the doctor will sit down with you and explain the findings of the examination, posture analysis, and x-rays. Once the doctor has identified your particular spinal problem, a custom treatment plan specific to your condition will be outlined for you. After you have received all the information and have had your questions answered you can decide if you would like to begin treatment. On your first visit to the clinic, you will be given a comprehensive examination to determine if you are a candidate for chiropractic care. You should expect the exam to take approximately 60 minutes. You may wear comfortable clothing to the exam if you choose to; however, this is not necessary as shorts and a t-shirt will be provided should it be required. When you arrive, you will be given some health history forms to complete. If you would like to complete the forms ahead of time and bring them to your appointment you can arrange for them to be emailed in advance. To do so, just click on the contact us tab and write your request for the forms in the "questions/comments" section. We are looking forward to meeting with you to discuss your case. Notice that from the front, the spine is straight. From the side, however, the spine has three essential curves: a neck curve, a ribcage curve and a lower back curve. The normal curves in the spine as seen from the side are extremely important for your health. These curves help absorb shock, allow for proper movement, and evenly distribute the normal forces on the spine. If a spine deviates from the normal configuration, such as a significant increase, decrease or reversal of any of the curves, the spine is considered to be misaligned. What causes misalignments of the spine? Abnormal curves can be caused by injury, such as accidents or falls, or by poor postural habits. 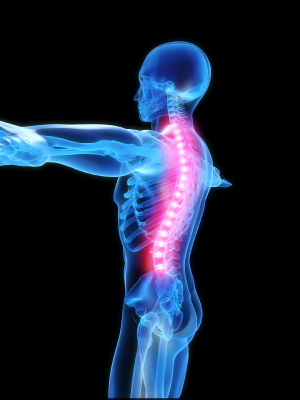 What is the significance of spinal misalignments? Spinal misalignments may cause increased stress on the muscles, ligaments, bones, discs, and nerves of the spinal column and surrounding tissues. These abnormal stresses can lead to a breakdown of body tissues that may result in pain, arthritis and other related symptoms.